Rated 5 out of 5 by hibc60 from over all another great game from ERS I enjoyed this game, I am very glad I got the CE because the hint was good but sometimes confusing - especially when I needed to give something to the dog, the CE walk through helped, also since there is no map having the CE was a god send. otherwise I enjoyed the game, this developer seems to be consistently good in my opinion. I don't use sound so can't rate that and I am not big on the extra's, by the time I finish a game I generally want to stop and move on so the extra's are not important to me but over all a great game. Rated 5 out of 5 by Takara_Soong from Love this series. 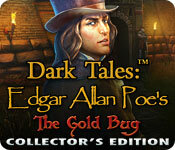 The Dark Tales series is my favourite hidden object series so far. I live the story, the graphics and the challenge level was great. Rated 5 out of 5 by laurakay76 from A treasure indeed The Dark Tales is my favorite series of games from ERS, and this, the fourth such adventure, suited me very well. Excellent graphics and sound, and as usual, very challenging puzzles. The only complaint I can think to offer is that the game didn't make it very clear who the villain is; I figured it out, but it would have been nice if Dupin had stated who the character was. Otherwise, full marks! Rated 5 out of 5 by blumonkey67 from I'm a fan of Dark Tales It got even better with this one. I got stumped on one part but with the help of the walkthrough I made it just fine. I cannot wait till the next sequel. Rated 5 out of 5 by spiritlaughing from Fantabulous!!! Totally loved this HOG ! Graphics are wonderful and meshes with the story line, which is a great plot. I have a crush on the dog, he is so big and fluffy. Plenty of HOS and plenty of puzzles. None of the puzzles were mind bending but they weren't all that easy either. The extra game play was worth buying the CE, and you can go back and just play the puzzles over again or play the HOS over again, too. I live for puzzles and when games give you the chance to play the puzzles all by themselves, then I will always buy that CE. This HOG is lots of fun! 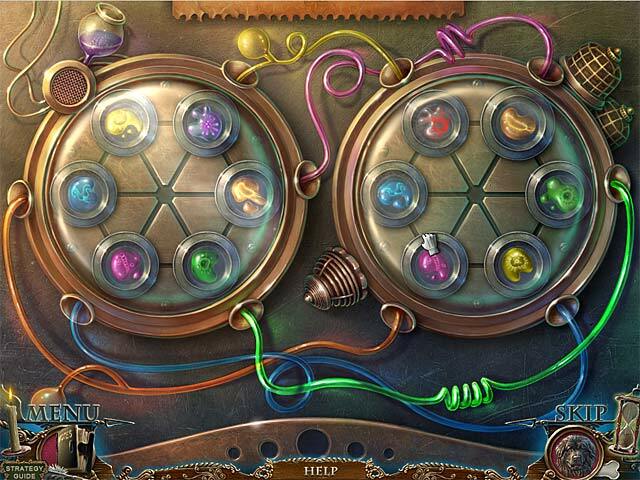 Rated 5 out of 5 by katyann from Fun Hidden Object Game I really enjoyed this game. The right amount of hidden objent and puzzle's. Story line kept me interested. I have gotten so tired of demon based games will not by any more. found this just right. please more of these. Rated 5 out of 5 by Snowfoxx from ERS keeps getting better and better! 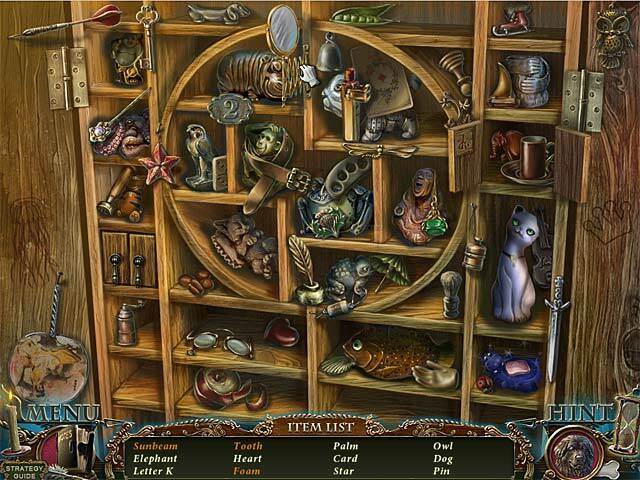 ERS Game Studios just keeps cranking out great hidden object mysteries, and it is amazing to see how far they have come since Azada, which is still a favourite of mine. The animations have gotten smoother over the years, and with the wealth of classic literature to choose from, they will be in business for a long time. 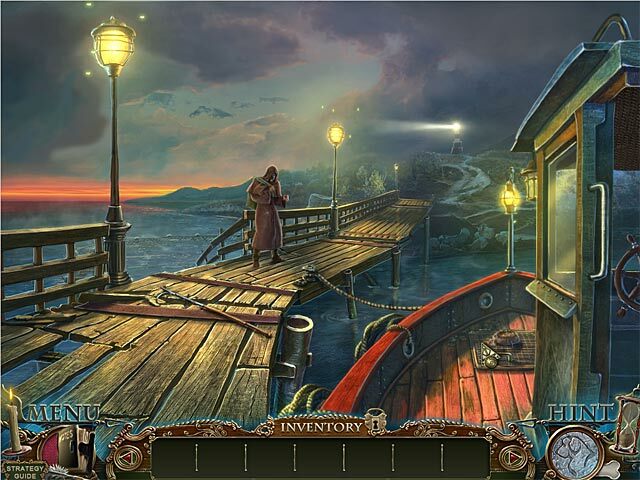 This game focuses on one of Edgar Allen Poe's less macabre stories, which is still just as mysterious, and if you like looking for lost relics, then The Gold Bug is just the mystery you enjoy, because this involves the search for Captain Kidd's treasure. We meet up with Detective Daphin, the dapper man with a taste for the unknown and great fashion sense, for the mid-1840s, and he is the one constant in all of these ERS Poe games, and it is a pleasure to be working with him again as a mystery-solving partner. This story takes us out of France and to Sullivan Island, South Carolina where we meet with William LeGrand, a colleague of Daphin's that has discovered two amazing things. A golden beetle with a death's head markings on its wings, somewhat like the Death's Head moths from The Silence of the Lambs, has lead him to another even more startling discovery. A a very old parchment that seems to be blank until our characters accidentally get it to close to the fire, and this reveals a mishmash of dingbat characters. This is written in invisible ink, and the dingbats are a code which gives a clue to the location of the pirate treasure. I was a bit disappointed that some of the elements of the story were left out, like Legrand's African manservant, Jupiter, and the fact that we broke the code in this game by playing a mah jongg game. When I read the story as a kid, I broke the code using the clues in the story before I bother to flip a couple of pages further along to see what it was. This should have been added to the game. Even though some of the base elements from the story were left out, it did move the game along. It also leaves out the fact that LeGrand has gone insane after losing his fortune. No wonder he is desperate for treasure. There is also a mysterious figure that is attempting to thwart our efforts. The game uses the basic HOM formulae, find this thing, hope it works in that thing, and hope it works in this lock, and so on. Ive really gotten to liking the Poe games, and with ERS Game developers improving the quality with each one, I look forward to more, so long as it stays away from The Tell-Tale Heart and The Cask of Amontillado. Rated 5 out of 5 by tracytsui from reality Really like this kind of game without ghost or demon...It's really like a detective case!